The Schoeps MK2 is part of the Colette series of modular capsules designed for use with the CMC preamplifiers. Designed for close proximity capturing, the MK2 retains a uniform frequency response when used close to the signal source, avoiding overly brilliant or sharp signal reproduction. 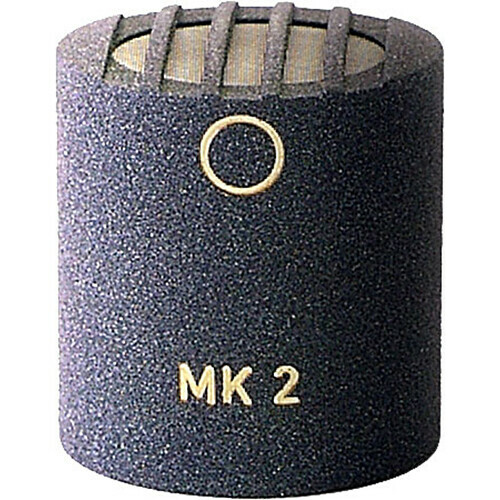 The MK2's signal character is similar to measurement microphones and is often used in acoustic measurement and calibration applications. The omni-directional polar pattern provides a wide uniform pick up response at the main and off-axis sections of the microphone capsule. The MK2 features a uniform frequency response when used in close positioning of the signal source. Box Dimensions (LxWxH) 7.4 x 4.02 x 1.0"